What produces the life of God in us? 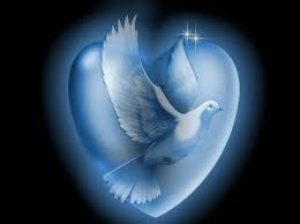 The Word says it is the Holy Spirit that produces life. The Scriptures say the fruit of the Spirit is love, joy, peace, longsuffering, kindness, goodness, faithfulness, gentleness and self-control. (Gal 5:22-23) Not much confusion about that, right? So if we persist in dividing the Body of Christ with political strategies and get sidetracked from the Great Commission by exploiting our theologies and church doctrine, are we missing the point? It is so easy to settle for what might be good, even noble, at the sacrifice of what is best. One of Jesus’ brightest apostles warned us that knowledge can puff us up, but it is love that actually gets the work done. Why would he say this so explicitly? Because he knew how vulnerable we can be to the pride that comes from winning an argument, proving a point or proof-texting people away from Christ. Now this is not to dismiss the power of words spoken in season and a boldness of verbal witness. It is simply a reminder that words not backed up with actions are just words in a world filled with words. It is the pursuit of a Christ like lifestyle and accruing love that cannot be ignored. I find it significant that the Lord Jesus did not get tangled up in doctrinal discussions and political nuance, but emphasized how the power of the Holy Spirit would transform the lives of those who made the choice to follow Him. “I will make you fishers of men,” He told them, and so He did. Who then qualifies for His program? Well, I am greatly encouraged by the story of Peter and John standing before the religious leaders. These educated and distinguished men recognized that Peter and John were closer to being high school dropouts than credentialed men with a PhD in anything. And yet they knew they were different. Different indeed. These men have been with Jesus, they concluded. And seriously, that had to be the greatest commendation Peter and John would ever receive this side of heaven. It is also the very commendation we should be striving for; because people will be drawn to Jesus, not by our ability to quote Bible verses or self-promotional attempts to embarrass them with our expertise in Christian Apologetics, but by the sweet fragrance of our Savior and His redemptive sacrifice being exuded from the very pores of our life. If only the Body of Christ would embrace this simple truth, falling in love with the Master afresh, I am convinced that we would not only see a more pleasing unity in the church, but a community of faith that could have a real impact on the world around us. So, what is our takeaway from all of this? It is a real challenge for us to examine our own walk and come to terms with how we are doing in this area. Here are some thoughtful questions you may want to ask yourself. What about my life is drawing others to the Lord? What areas of my life do I yet have to submit to Him? Acts 4:13 Now when they saw the boldness of Peter and John, and perceived they were uneducated and untrained men, they marveled. And they realized they had been with Jesus. 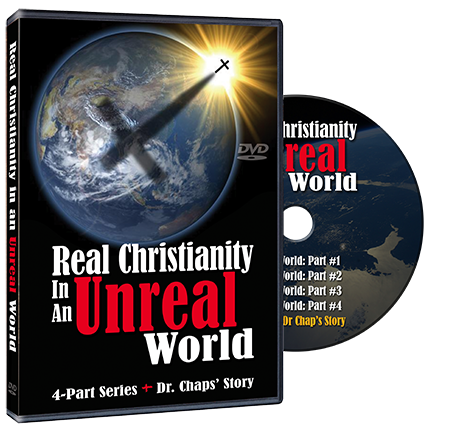 Click to order this important four-part TV series on Real Christianity where Vince discusses how Christians need to approach our world to make a difference for Jesus.